Phytoliths in Paleoecology: A review ! Caroline A. E. Strömberg, Regan E. Dunn, Camilla Crifò, and Elisha B. Harris. 2018. Although phytolith analysis is a standard tool in archaeology and Quaternary paleoecology it has seen relatively limited use in pre-Quaternary studies. However, in the last ~20 years phytolith analysis has emerged as a vital new approach in deep-time paleoecology. The advantage of phytolith assemblages is that they record unique characteristics of past vegetation and, unlike other types of vegetation data (palynomorphs, macrofossils, wood), are commonly found in direct association with fossil vertebrates, providing vital information about plant-animal interactions. This chapter, part of a book on Methods in Paleoecology (Springer Verlag), reviews the state-of-the-art of this emerging field of deep-time phytolith analysis. It covers the production of phytoliths among plants and the formation and preservation of phytolith assemblages in soils and sediments. It further discusses the common taphonomic biases in the phytolith record and how this affects the interpretation of assemblage composition and the temporal and spatial resolution of individual assemblages. Methods that are currently applied in deep-time phytolith analysis are described, including field collection, extraction protocols, and analytical approaches, as well as how to build a modern reference collection. 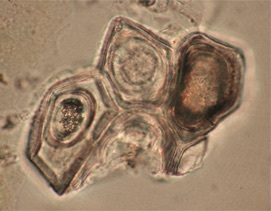 The chapter also includes examples of the many ways in which phytoliths are used to study evolution and paleoecology in pre-Quaternary sediments, including reconstruction of vegetation and vegetation change (through time and space), diet, climate, and fire regime, and it highlights important future avenues of research. Whereas the focus of this chapter is pre-Quaternary paleoecology, it should be useful for anyone interested in phytolith analysis.